Here are some new upright bass related pages that may have not quite been indexed into our main site yet. -Don't cut those bass strings! A short article on why you should NOT cut your bass strings for any reason. Pirastro's new Evah Pirazzi Slap bass strings that come in both pure gut or synthetic. High quality, fun to play and they last! -Some have asked us to write a little about the audition process and preparation for a professional symphony orchestra. See orchestra bass auditions. More about bass tuning: A brief history of Viennese tuning. More articles on upright bass strings selection. Is a nice comparison for the different applications and needs for different genres and styles of playing. Choosing Upright Bass Strings. Another new bass book is out and this one is by Orin O'Brien. She's a veteran teacher and player (New York Philharmonic). This she calls her Double Bass Notebook. Buzzing fingerboards? Here is short, general article on bass fingerboards and why they might buzz. This is a 'generalized' explanation, but not meant for the typical bass player to 'fix' their own bass. See buzzing upright bass fingerboards. Why we don't offer or sell bass covers/cases with wheels. 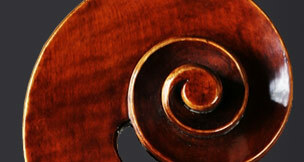 -More about the nature and significance of a good upright bass bridge. Black bow hair is not better for bass bows! Some new basses that we now carry. A fully carved, flat back, Shen willow, SB200 bass.